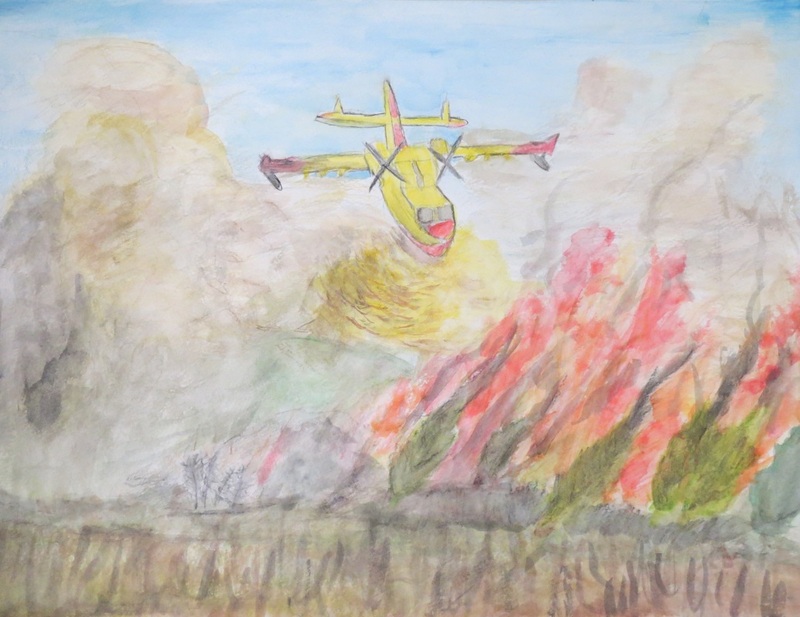 Nantucket young people were given the opportunity, by the Nantucket Flying Association (NFA,) to enter the International Aviation Art Contest, sponsored by the Fédération Aéronautique Internationale (FAI.) 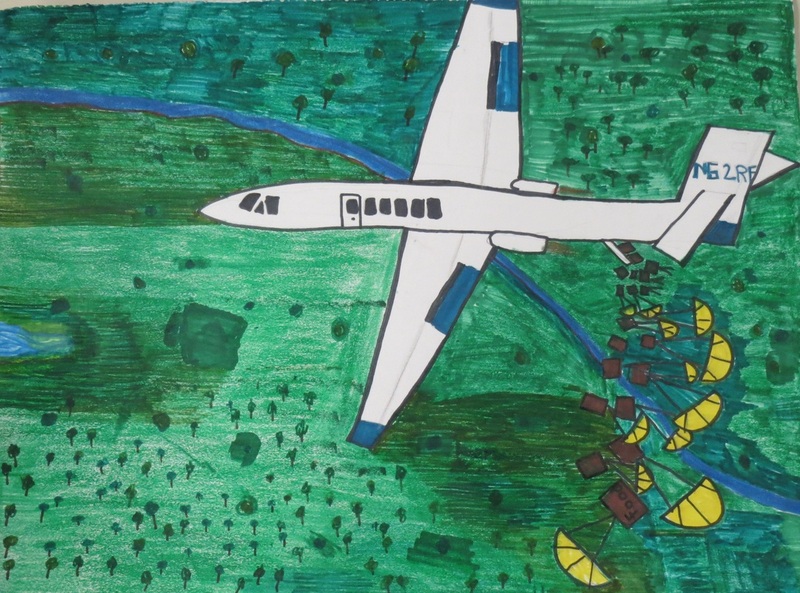 This contest challenged students, ages 6-17, to illustrate the importance of aviation in an interactive, fun medium such as drawing or painting. Out of nine winners from Massachusetts, two entrants were from Nantucket and will represent the state in the national judging in Washington DC: Eleanor Hofford, who placed 3rd in Category I (ages 6-9) and Nantucket New School’s Samuel Hofford, who placed 1st in Category II (ages 10-13); other Nantucketers whose artwork was sent on to Mass. DOT for judging were Ella England, Elena M. Tittel and Louisa G. Liddle, all from Nantucket New School. 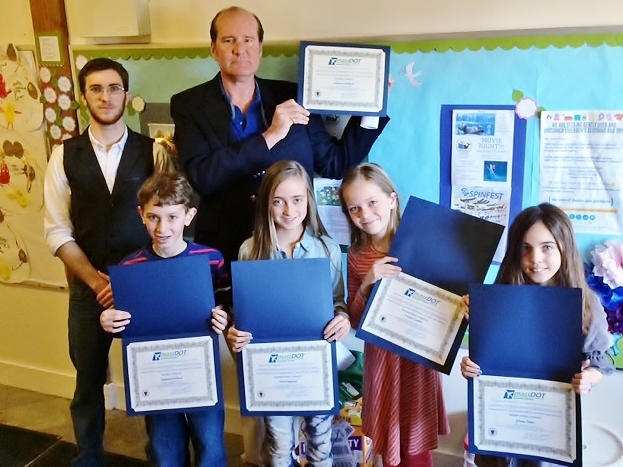 The State portion of the contest was coordinated by the Commonwealth’s Department of Transportation with all students receiving a certificate of recognition from the MassDOT Aeronautics Division. The U.S. portion is sanctioned by the National Aeronautic Association (NAA,) managed by the NASAO Center for Aviation Research and Education and sponsored by Embry-Riddle Aeronautic University - Prescott, Ken Cook Co., the FAA and the National Coalition for Aviation and Space Education with additional support from many NASAO members. The contest subject, “Flying Saves Lives,” was quite relevant to Nantucket as aviation is important to the safety and medical needs of islanders and those who transit the area by water or air. Judging, which began in Boston, with winners moving on to national judging, was based on the creative use of the theme with “national” winners heading to the International Jury in Switzerland.